Jupiter enters Leo on July 16th, 2014, and stays in this Fixed Fire sign until August 11th, 2015. See how this transit affects each zodiac sign below. Jupiter’s effects are to expand our experiences, our knowledge, and our understanding. Jupiter represents optimism, growth, generosity, joy, and abundance. In Aries, Jupiter encouraged us to make our own opportunities, to believe in ourselves, and to take charge of our lives. In Taurus, Jupiter urged us to enjoy and appreciate what we already have, and to adopt a patient approach to achieving our goals. In Gemini, Jupiter encouraged us to learn as much as we could about the people around us, as well as to share and connect. In Cancer, Jupiter motivated us to honor our intuition, emotions, families, and inner needs, and to build our support systems. Leo is a Fire sign. 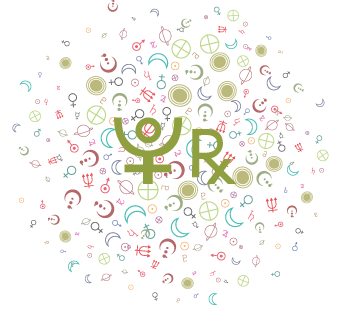 With a Fire sign Jupiter, we identify strongly with our own opinions, beliefs, and perceptions, and we may take it quite personally if others disagree! We make our own opportunities, and we are at our best when we are thinking in big terms, taking calculated risks, and displaying confidence in ourselves. Jupiter in a Fire sign teaches us to embrace our more confident, brave, and outgoing selves. This is how we grow and expand. More specifically with Jupiter in Leo, we attract the most good fortune when we express magnanimity, are generous with others, inspire confidence in others, conduct ourselves with dignity and sincerity, and avoid the pitfall of excessive egotism. Particularly prosperous areas are creative ones, entertainment, children, and recreation. During this Jupiter in Leo cycle, we place strong emphasis and value on expressing affection, admiration, generosity, romance, and uniqueness. We see opportunities to grow and succeed through creative self-expression, our own personalities, sharing our happiness and time with others, helping people, and improving ourselves. Jupiter not only likes to expand, it likes to learn, so when Jupiter is paired with Leo, we may be more interested in learning about the arts as well as ways to improve our well-being, romantic relationships, personalities, and relationships with children. We might focus more intently on developing our hobbies and creative interests during this cycle. New avenues for exploring our talents can open up to us, or we might recognize a stronger need for recreation and entertainment, or romantic expression. We might begin to see opportunities to “play” and enjoy our lives more fully, or people come into our lives and introduce us to these channels. We could experience a boost of confidence that opens up doors that previously seemed closed to us in these regards. People who have given up on finding love, pursuing a dream, or developing a talent might now reconsider. Jupiter’s zeal can supersede moderation at times. It can expand the more negative qualities of a sign, just as it can expand the positive traits. Its zeal and enthusiasm is well-intentioned, but it can blind us to our immoderate behavior. In Leo, we may focus too much on our image. We might brag, self-aggrandize, spend too much, give too much, or succumb to other destructive extravagances. However, the “higher” vibration of Jupiter looks for perspective. Jupiter’s “perspective” isn’t a detached, analytical, or detailed look at any given situation, but an overview–a look at the “big picture”. With Jupiter, ideally, we are able to rise above pettiness, mundane concerns, inconveniences, and the like. Where Jupiter is currently transiting in your own chart is generally where you are inclined to find your “joy” at this stage in your development. This area of your life expands and improves in some manner. There is also a need for new tools to develop these areas of life. In order to expand, we need to pursue our goals with confidence and optimism, without going overboard. Jupiter’s major aspects during its transit of Leo are a little easier than they were during its recent transit of Cancer. Most notably, Jupiter trines Uranus in September 2014 and then from February to June 2015, opening up new energies, approaches, and attitudes due to our willingness to entertain the unusual and to think outside of the box. Jupiter in Leo (July 2014 to August 2015) and Business/Career For greater success in your career or business, be proud, confident, generous, and above-board in your professional dealings. Don’t be petty and always choose to take the high road. Generosity can be show through offering special sales, making customers feel special and unique, and giving to charities. This is not about underselling yourself, but rather giving more, whether through charities, special sales, and free information. Don’t finger the competition – compete only by being the best you can be. In career, invest in your personality and uniqueness. Dare to be confident. With Jupiter in Leo trine Uranus in Aries, this is a time for standing out in a classy way, appealing to freedom and independence, selling products and images that are boldly self-serving, colorful, and daring. Jupiter in Leo (July 2014 to August 2015) and Relationships/Love For greater success in love and relationship while Jupiter transits Leo, be attentive, romantic, loving, and proud, but at the same time allow for freedom – don’t stifle. It’s fine to admit jealous feelings, but jealous antics and acts should be avoided. Avoid pettiness and undercutting the “competition” – simply be the best you can be. Romance is big during this cycle, and romantic overtures can be over the top and still appreciated. Dare to be confident. Jupiter spends over a year in Leo. The last time Jupiter transited Leo was from August 2002 to August 2003. What we started during this period is now enjoying a Jupiter return, so that it might blossom, increase, or require adjustments in order to grow further. Before that period, Jupiter was in Leo from August 1990 to September 1991, and from September 1978 to September 1979 (during this latter period, Jupiter dipped back into Cancer for almost 2 months). Jupiter entering Leo on July 16th puts this planet of growth and expansion in your solar fifth house, Aries. From July 2014 to August 2015, you are likely to see benefits, and experience growth, in the areas of romance, pleasure, creative expression, hobbies, entertainment, and children. Your fair share of fun, romance, and good times are in store. Your willingness to enjoy yourself and explore your creativity now brings new opportunities, or you might find that avenues open up to you for exploring new ways of having fun. For example, you might meet a new friend who spurs you to go out more, or you could be inspired by someone else’s creative projects and begin a new and rewarding hobby. Creative projects are likely to fare well during this cycle, and could possibly even bring some type of recognition or reward. Love and romance may come into your life or an existing romance is enhanced with good humor and warmth. You might find that possibilities for casual love relationships open up to you now, and some of you could be overwhelmed with choices! Social engagements abound. For single Aries, meeting a special person is highly likely, although it’s more likely to be a casual relationship than a committed partnership. Investments in stocks and other speculative matters could earn profits. Healthy, wise risks are likely to pay off, but be careful of overconfidence in speculative investments. Relationships with your children, if you have any, may be especially fulfilling now. Pregnancy or childbirth may occur during this period, if applicable. This is a fabulous period in which to take a vacation you’ve always wanted to take, to try out a new hobby or creative project/approach, to explore new ways of having fun, to enjoy single life, and so forth. Those with artistic or athletic talent can be especially successful and prosperous at this time. Your creativity and social life are stimulated this year, and plenty of opportunities to express yourself uniquely and creatively are likely to present themselves. You may find great joy and reward in your creative projects and hobbies. Pleasure-seeking activities, recreation, and amusement are increased. You are far less inhibited when it comes to expressing yourself creatively, and you are a lot more fun to be around! The connection between your fifth and ninth houses can point to long-distance connections, possibly romantic, and learning or developing a creative skill. These positive circumstances won’t necessarily fall into your lap, and are unlikely to come all at once. You need to keep your eyes open for opportunities in these areas of life. Sometimes Jupiter brings too much of a good thing, and it’s always wise to enjoy a carefree (not careless) attitude. You are learning to express yourself playfully and creatively without apology, and more willing to take some personal risks in order to do so. A potential negative of this transit is excessive emphasis on, or attention to, having fun to the detriment of other life departments. However, for the most part, you are likely to feel supported and confident during this approximately year-long cycle. Particularly from September 2014 to June 2015, there is beautiful energy for getting the courage to express yourself more freely, romantic attractions, exciting new hobbies or channels of entertainment, and creative freedom. A spirit of openness and fun helps to bring new opportunities into your life. This is a time for trying new things, beginning new ventures, and sticking your neck out. Creativity finds a successful channel or outlet. This also means that Jupiter is trine your Sun or Ascendant at least part of the year, a feel-good transit that offers you opportunities to rise above petty concerns and to achieve a more balanced approach to your life. Relationships with others tend to be easygoing, friendly, and positive. It’s natural for you to cooperate with others, and others find it easy to cooperate with you! This is a time when you really enjoy life, appreciating the good things and rarely harping on the more inconvenient or annoying elements of life. The most favorable periods for these matters occur while Jupiter is in direct motion in your solar fifth house, from July 16th to December 8th in 2014, and then from April 9th to August 11th in 2015. Jupiter entering Leo on July 16th puts this planet of growth and expansion in your solar fourth house. From July 2014 to August 2015, you are likely to see benefits to home, family, property, and domestic comfort matters. Much joy and pleasure can be found in your family connections and experiences and/or your home life during this cycle. An increased sense of security and safety may be derived from your domestic life. Improvements to your home life, family, and basic psychological foundation are in focus. You might find that inner and personal experiences are more important to you than more worldly ones during this cycle. Opportunities to buy or sell real estate for financial gain may present themselves. Home improvements and renovations are favored, as is moving to a new dwelling (more spacious or larger homes are likely now). Some of you may buy or sell a house, and others may welcome a new addition to the family. You may move to a larger or more comfortable home; or you might enhance your existing home in such a way that makes you feel happier, perhaps by de-cluttering your space. Long-standing family problems may be ironed out. Relationships with parents and other family members go well. You may find special enjoyment through getting in touch with, or researching, your roots or family traditions. There could be a family reunion, vacation, or other event that gives you a stronger sense of connection to your family. Family may help you financially or an inheritance is possible for some of you. You take more pleasure in nurturing others. If an upsetting change occurs in the home or family unit, it may very well be a blessing in disguise. Family can be supportive and helpful. A stronger sense of psychological well-being may come now, as you take less interest in more worldly ambitions and activities. This can be a good time for clearing up guilt and resentment that you may be carrying from childhood conditioning. This is an excellent time generally speaking to begin a new venture that you’d like to be long-term and prosperous. Focus now is on your foundations and building your inner world so that you feel secure. These positive circumstances won’t necessarily fall into your lap, and are unlikely to come all at once. You need to keep your eyes open for opportunities in these areas of life. Because Jupiter rules your eighth house and is now in your fourth house, some of you could gain backing or support for buying, renovating, or adding to a home. From late September forward, strong energy is available for enjoying the more positive effects of this transit. For the most part, you are likely to feel emotionally secure and supported during this cycle. This is a time of nest-feathering. It’s also a period of good luck and liberation from past restrictions and difficult circumstances or attitudes that have been holding you back. The most favorable periods for these matters occur while Jupiter is in direct motion in your solar fourth house, from July 16th to December 8th in 2014, and then from April 9th to August 11th in 2015. Jupiter entering Leo on July 16th puts this planet of growth and expansion in your solar third house. From July 2014 to August 2015, educational and communication opportunities are likely to present themselves. You may increase your knowledge and skills set, and find much enjoyment in so doing. During this long-term trend, neighbors or relatives could be especially helpful in your life. You express your ideas with more enthusiasm and positivity, and they are received well. Your reasoning skills are sharper than usual, so take advantage! You are able to comprehend more complicated subjects and problems, and you are able to explain them in such a way that others can readily understand; thus, teaching, authoring, or otherwise delivering information may be prosperous now. Higher level studies, courses, and perhaps some travel opportunities might arise during this cycle. Many of you will benefit from taking courses if you aren’t already doing so, and those already involved in studies will benefit more than usual during this period. You may decide to buy a new car, or transportation opportunities present themselves, making it much easier for you to get from point A to point B. Gifts, benefits, or other opportunities may come through visits, short trips, messages, emails, or they could come through contacts with siblings, classmates, and neighbors. Some sort of positive news or announcement is likely to be part of the picture at this time. If you’re an author, teacher, or other have another position in communications, you will find more opportunities to advance your trade as your creative juices flow nicely. If you’re a student, school is especially favored. If you’re in business, you are likely to find sales are especially strong. In general, you find much joy in communicating, learning, and socializing. These positive circumstances won’t necessarily fall into your lap, and are unlikely to come all at once. You need to keep your eyes open for opportunities in these areas of life. With Jupiter, always keep in mind that while opportunities present themselves that have a positive influence in your life, Jupiter expands and magnifies all that it touches, so that if you are having difficulties in these areas of life, these problems may be magnified before they can be dealt with. So, for example, if you have difficulties with a sibling relationship (one of the things ruled by the solar third house), this might be magnified now and this way you can better deal with it and solve the problem. Taking on too many daily activities, communications, new interests, and learning endeavors or studies can be a problem now. Don’t overload your plate. The more excessive tendencies of this transit are more likely to be experienced in August and early September. When Jupiter is challenged, you may be a little more accident-prone, you might procrastinate or exaggerate. You might also take on so much that you don’t know where to begin, or so that you learn a lot about many things but not enough about any one particular subject. However, for the most part, you are likely to enjoy more opportunities through your communications and contact with others during this cycle in 2014. You could make new friends and feel more connected or part of a group this year. You might find that you travel less or not at all, and that you are busier locally. You are more perceptive and have stronger intuition, especially about people you meet. There can be opportunities through meetings, courses, teaching, and connections made in the neighborhood or through siblings. Some existing problems with siblings or neighbors could surface now and then can be put to rest. From September forward, a beautiful aspect involving Jupiter in your third house makes it an excellent period for networking, sharing your ideas, writing, pursuing a cause, and joining a cause. Your perspective can change completely, in a very positive way, through a new or unusual friend or new information that comes your way. Some of you could meet a significant other through friends or group associations, or through schooling. Certainly communications are vital in your close relationships this year. The most favorable periods for these matters occur while Jupiter is in direct motion in your solar third house, from July 16th to December 8th in 2014, and then from April 9th to August 11th in 2015. Jupiter entering Leo on July 16th puts this planet of growth and expansion in your solar second house, Cancer. From July 2014 to August 2015, you are likely to see and enjoy benefits to your earning power and value system. Jupiter in this part of your chart could very well bring a profitable and productive period. You are likely to feel more confident and enthusiastic about your ability to earn a living, and this can help you to attract more income, as long as you are realistic. You might decide to develop your talents during this Jupiter cycle, which in turn boosts your earning power. Your income might increase, and there may be an opportunity to improve your future financial situation. However, you could be just as inclined to splurge on yourself, opting to plump up your nest or your store of personal possessions in order to feel more secure. Money problems from the past may clear up during this period if you use it appropriately, developing budgets and working out ways to better manage your resources. You may be adding to your possessions, you might receive a large item or gift, or a major purchase or sale might occur now. A significant gift or bonus may come your way. This is a good time to work with financial institutions, shoot for a raise, or apply for a loan. You may need to curb an inclination to overspend – feeling good could bring you to the stores as you temporarily forget about the future! The positive circumstances listed here won’t necessarily fall into your lap, and are unlikely to come all at once. You need to keep your eyes open for opportunities in these areas of life. During this cycle, you bring a fresh, positive, and confident attitude towards your own self-worth and value, and to your practical affairs, including work and career. From late September forward especially, opportunities to attract improved conditions in your career and a boost in reputation can arise. Your attitude is a “can do” one now. New business ventures can be especially successful. 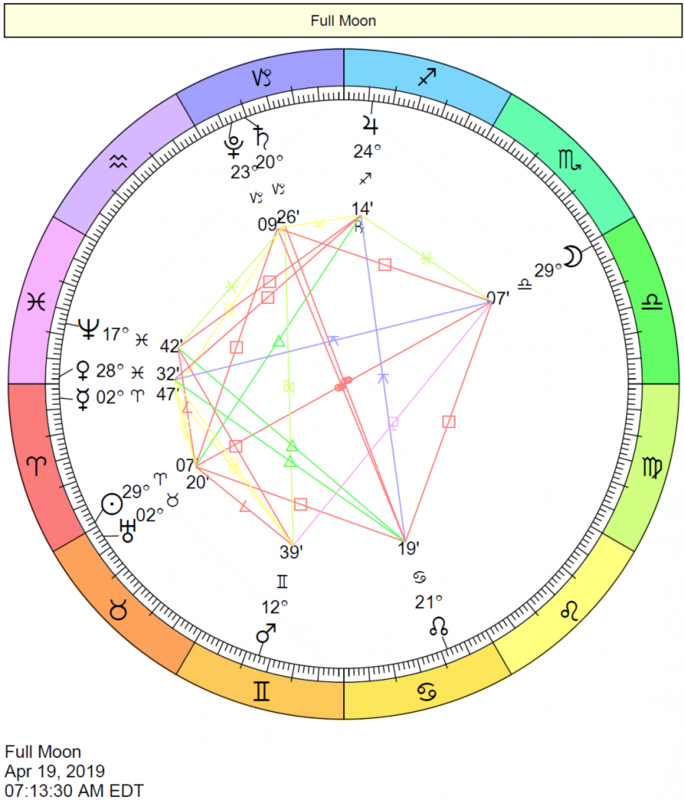 The most favorable periods for these matters occur while Jupiter is in direct motion in your solar second house, from July 16th to December 8th in 2014, and then from April 9th to August 11th in 2015. Jupiter entering Leo on July 16th puts this planet of growth and expansion in your solar first house, Leo, lasting from July 2014 to August 2015. This exciting transit occurs only every twelve years or so, and brings improvements to your immediate environment and self-confidence, as well as increased generosity to your personality. Your personality is more obviously expansive, exuberant, and enthusiastic. This transit heightens your optimism and generosity, and the entire cycle has the potential for being a relaxed, fortunate, and hopeful time in your life. You are greeting life with a fresh, can-do attitude. What happened in the past is not very important to you now – it’s the future you’re eyeing now. Events occur that help you to overcome problems that previously seemed challenging or even insurmountable – you have an altogether different perspective on life now, and are not inclined much to sweat the small stuff. You create a distinct first impression on others, and your likeability increases. People thoroughly enjoy being around you, not because of what you do, but because of who you are. Furthering your personal ambitions and interests comes more easily during this cycle. At times, you may feel like the sky is the limit! You might need to guard against becoming too full of yourself or overly self-interested, however. There is also a risk of overindulgence and other forms of excessive behavior or extravagance. Jupiter can bring endings into your life in order for you to grow, although these are generally easy ones, or they feel easier than they would at other times. A carefree attitude is different than a careless one, and the fine line between the two is definitely something to consider. You feel considerably freer to be yourself right now, and others tend to accept you more readily. These positive circumstances won’t necessarily fall into your lap, and are unlikely to come all at once, although they are more likely due to Jupiter’s direct influence on your life. You need to keep your eyes open for opportunities in these areas of life, and always watch for overdoing things or carelessness. It’s an excellent time to start new long-term projects. You might find that you feel more vital, confident, and optimistic about the future at this time. It’s a good time to resolve conflicts. You may be released from previously confining situations that have been stunting your growth or progress. Events may give your ego a boost, and you could be feeling quite vital and alive. Take advantage of this by promoting yourself or putting yourself “out there”. Ego gratification is a theme of this transit. This is the start of a “new you” – a more confident and faithful person. Invest in your personality. This can also be a time when more romantic and/or creative opportunities enter your life because Jupiter rules your sector of creativity, entertainment, hobbies, fun, children, and romance. You are especially fertile during this period. Expanding your horizons through higher learning or travel might also figure strongly. This is a time for aligning your behavior with what you believe is right. You are taking more “me” time, which is in fact long overdue after a period of serving, supporting, and helping others. Especially from September forward, there can be a real feeling of liberation from attitudes or circumstances that may have limited or restricted you from being all that you could be. 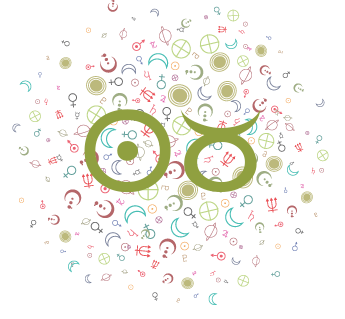 The most favorable periods for these matters occur while Jupiter is in direct motion in your solar first house, from July 16th to December 8th in 2014, and then from April 9th to August 11th in 2015. Jupiter entering Leo on July 16th puts this planet of growth and expansion in your solar twelfth house, Virgo. From July 2014 to August 2015, you may enjoy benefits to activities that take place “behind the scenes” or otherwise privately, as well as in the soul. This is a cycle in which you become more compassionate, empathetic, and sensitive, or get in deeper touch with these traits. Jupiter in the twelfth house is said to offer people spiritual protection. This is a time when you can rid yourself of self-destructive tendencies, deep-seated fears, and deeply-ingrained tendencies towards guilty feelings. You are more able to get in touch with your subconscious mind, and in fact, confronting your fears can be quite pleasurable during this period. Charity, giving/donating anonymously, volunteering, and helping others without expectation of reward will be most fulfilling during this cycle. Helping others actually helps you. Work that involves serving others may begin now and bring you much joy. Your dreaming world may be especially rich, lighter, helpful, and more intuitive. Meditation and retreats may be particularly helpful to you now, as they regenerate and invigorate your spirit. Much pleasure and growth might be found in solitude and contemplation. You may pick up New Age studies, spirituality, dream interpretation, or research during this cycle. Some people enter into a private romance during this cycle. In general, help seems to be there when you need it. You are building or rebuilding your inner faith now. These positive circumstances won’t necessarily fall into your lap, and are unlikely to come all at once. You need to keep your eyes open for opportunities in these areas of life. There may be some sacrifices required in your family life, or your domestic life can be especially private. Jupiter’s influence is generally considered positive, and it is, ultimately. However, it acts to magnify the area of the chart that it affects, and at times it can be uncomfortable if you are having difficulties in this area. In your case, if you are lonely or if you feel helpless, and if you have troubles facing your past, then this influence can heighten these issues. Ultimately, it’s for the good. The cosmos asks you now to surrender some of your attachments, and to surrender to the unknown. Releasing control is necessary. Building your faith is the work you are doing now. While your tendency is to play a supportive role to others, if taken too far, you will need to draw some boundaries when it comes to your energy and time. Your perceptions heighten, and in fact, intuition is extremely reliable now. Your ability to make sacrifices for others increases, and you might build your confidence in yourself as you help and support others. September forward is especially strong for strengthening love ties as well as getting into better touch with your inner world and deeper feelings. 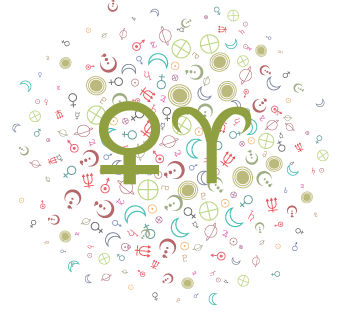 The most favorable periods for these matters occur while Jupiter is in direct motion in your solar twelfth house, from July 16th to December 8th in 2014, and then from April 9th to August 11th in 2015. Jupiter entering Leo on July 16th puts this planet of growth and expansion in your solar eleventh house, Libra. From July 2014 to August 2015, this transit brings benefits and fresh energy to networking activities, the formulation of broad, long-term goals, acquaintances, clubs, and organizations in your life. You can rely on your friends for their help and support, and your circle of friends could most certainly increase during this fruitful transit. Your long-term goals and wishes tend to be broad and perhaps unusual or ahead of the times during this cycle. You may particularly enjoy dreaming up ideas for the future. Achieving your goals tends to come more easily. Others especially value your advice and often turn to you for help. You could become more active with friends or in your community. You may have opportunities to join or lead clubs or groups. Group activities and associations could be avenues for fulfilling your own goals, and you may very effectively find your voice through them. You may take special joy in sharing a common cause or ideals with others. You are especially hopeful and more inclined to believe that if you wish it, it will be! Income from your business or career is likely to increase. At the very least, you are likely to be filled with new ideas. You might be more tolerant of others in general, and of differences in values. Reaching out beyond your personal circle can certainly open doors to you and bring joy into your life during this cycle. You might also expand your social circle through pursuit of learning or studies. Some Libras will meet friends who become very much like siblings. Others might connect with friends through their siblings or find them in their own neighborhoods. These positive circumstances won’t necessarily fall into your lap, and are unlikely to come all at once. You need to keep your eyes open for opportunities in these areas of life. 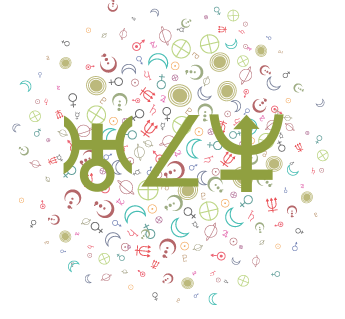 Also, Jupiter can bring too much of a good thing at times, and you might find that your social agenda is crammed or that you have taken on more friends or goals than you can reasonably handle. 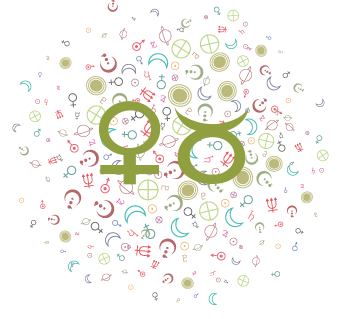 This is a generally good time to resolve conflicts, as you are not as easily angered by trivial matters, and domestic matters can run smoothly and happily. It’s a time for catching up on connecting with others, which may have been difficult to do with recent activities and focus. Relationships with others tend to be easygoing, friendly, and positive. It’s natural for you to cooperate with others, and others find it easy to cooperate with you! This is a time when you really enjoy life, appreciating the good things and rarely harping on the more inconvenient or annoying elements of life. The most favorable periods for these matters occur while Jupiter is in direct motion in your solar eleventh house, from July 16th to December 8th in 2014, and then from April 9th to August 11th in 2015. Jupiter entering Leo on July 16th puts this planet of growth and expansion in your solar tenth house, Scorpio. From July 2014 to August 2015, increased public recognition and professional success are very possible. 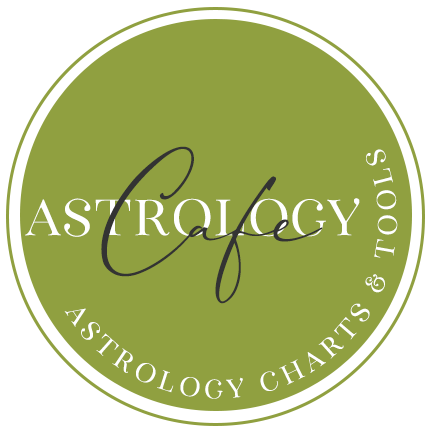 With Jupiter at the top of your solar chart, this can be a time of achievement, career advancement, and success in business. Business-related travel or the reaching of a wider audience is possible during this cycle. Your worldly or public status may change for the better. There could be a promotion, new job opportunities, a diploma, an important award, or a marriage. You may come into the limelight. Authority figures or other influential people tend to look upon you favorably, see more potential in you, and readily help you along, so work it! Something might happen now, or circumstances are such, that your career (or professional interests in general) expands, and you find more joy and pleasure from your work. You could enjoy more freedom, or possibly even responsibilities, in your career. However your career changes, it’s likely to have you feeling enthusiastic. Integrity, directness, and honesty will get you everywhere now. The more willing you are to put yourself in the limelight, the more positive the rewards–this is not the time to be a shrinking violet! An important project or goal might be realized during this phase of your life. You have more faith in your ability to achieve and accomplish your goals, and some of you could take a lot of pleasure in organizing your life and setting goals for yourself. Major projects begun approximately six and twelve years ago can enjoy an increase or boost. These positive circumstances won’t necessarily fall into your lap, and are unlikely to come all at once. You need to keep your eyes open for opportunities in these areas of life. Although it’s a great period for expansion and recognition on a professional level, and you should take advantage of it, choose your projects carefully. Don’t take on more than you can handle. Watch also for gossip or mishandling of information. Be wary of situations that could get blown out of proportion or misunderstood. Your hard work and effort can be recognized now, and you could find yourself in a position that truly suits you, and this can be especially true for your talents, reliability, and practical insight. For some of you, more prestige or a higher social standing may be part of the picture now. You can take great pride in the work you do. You may be putting more resources and money into your career pursuits. This is a time when believing in yourself, your competency, and your ability to take the lead opens up opportunities to you. It’s a period for innovation and progress – thinking outside of the box works to your advantage. The most favorable periods for these matters occur while Jupiter is in direct motion in your solar tenth house, from July 16th to December 8th in 2014, and then from April 9th to August 11th in 2015. Jupiter entering Leo on July 16th puts this planet of growth and expansion in your solar ninth house, Sagittarius. From July 2014 to August 2015, you may have opportunities to travel, study, go abroad, expand your horizons, and meet people of diverse and interesting backgrounds. You are likely to be more intellectually curious now, and academic pursuits can both benefit you and run especially smoothly during this cycle. Business dealings, particularly long-distance ones and those involving publicity and promotion, are likely to be profitable now. Legal matters might also work in your favor, or long-standing legal problems might now be ironed out. Some of you will be seeking legal advice and find it especially helpful now. A more faithful attitude towards life in general is likely now–you tend to feel that everything will work out in the end. Authors might get published now, receive good reviews, or they could significantly expand their audience. Travel is quite possible now, whether it’s business or personal. Educational and travel opportunities expand your horizons. Teaching and learning are favored now. Writing and studying flow more naturally. This is also an excellent period for positive dealings with in-laws! Your mind is more expansive and tolerant, and you are under less stress than usual. You are less inclined to sweat the small stuff. These positive circumstances won’t necessarily fall into your lap, and are unlikely to come all at once. You need to keep your eyes open for opportunities in these areas of life. Watch for a tendency towards a “holier than thou” attitude. New learning experiences as well as “life” experiences (travel, adventures, contacts with others of a vastly different culture than yours, and so forth) are likely to emerge. Over the course of this cycle, you might have the opportunity to reach a broader audience. You might choose to learn a new language or take on other studies. This is an exceptionally strong placement for your ruler, Jupiter. Both Jupiter and Sagittarius are connected with the ninth house and function very well there. With your ruler in the ninth house, others are likely to notice that you’re considerably more adventurous and outgoing – more like yourself! This is a feel-good transit that offers you opportunities to rise above petty concerns and to achieve a more balanced approach to your life. Relationships with others tend to be easygoing, friendly, and positive. It’s natural for you to cooperate with others, and others find it easy to cooperate with you! This is a time when you really enjoy life, appreciating the good things and rarely harping on the more inconvenient or annoying elements of life. The most favorable periods for these matters occur while Jupiter is in direct motion in your solar ninth house, from July 16th to December 8th in 2014, and then from April 9th to August 11th in 2015. Jupiter entering Leo on July 16th puts this planet of growth and expansion in your solar eighth house, Capricorn. 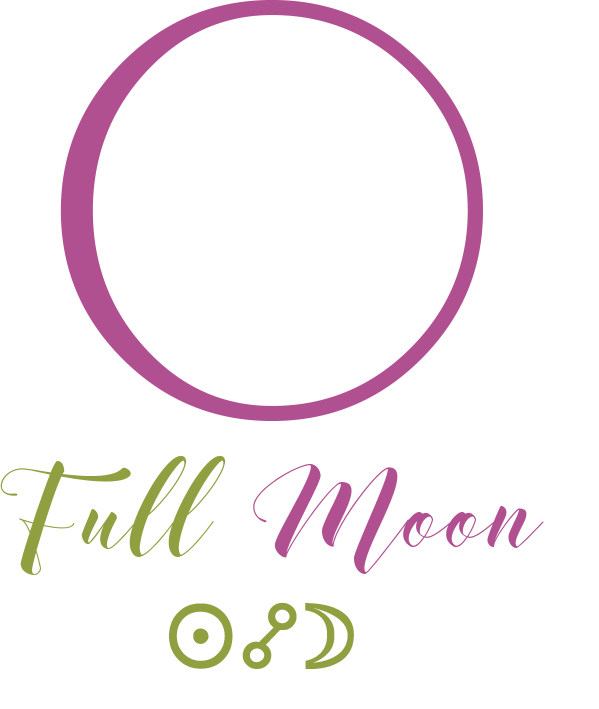 From July 2014 to August 2015, and you may see benefits in any of the areas ruled by the eighth house – joint finances, shared resources, loans, taxes, sexuality, intimacy, healing, personal transformation, research, investigation, and psychological matters. This is a time of increased psychological understanding, intimacy, and perhaps accumulation of wealth if you manage your resources well. This is an excellent time to work on financial planning and strategy. You are more capable of helping friends and loved ones who are dealing with a crisis – you can be leaned upon. Your ability to understand and accept anything that is deep in meaning or significant is enhanced now, and you instinctively realize that the path to healing is to face your fears. Others tend to be more supportive of you as well. Any type of in-depth study or research is likely to go well. In some cases, a significant tax refund, inheritance, inheritance, or other such benefit might arrive during this transit. Financial gains may come through a partnership or there may be an increase in a spouse’s income. Sexual opportunities are likely to abound, or your focus on one partner becomes more expansive, warm, and intimate. This could be a time of purging yourself of literal or psychic “junk”, as there is a sense that de-cluttering your life will be beneficial to your emotional well-being. Benefit can come through jointly held resources, loans, or taxes. These positive circumstances won’t necessarily fall into your lap, and are unlikely to come all at once. You need to keep your eyes open for opportunities in these areas of life. Because Jupiter rules your privacy sector and is now in the eighth house, this is a period when you can quite successfully purge yourself of some of your inner demons, guilt, and buried psychological problems. From mid-September is an especially strong period for personal matters, family, and intimacy. For some, there can be additional support for the home, and money can improve significantly. There can be eye-opening psychological discoveries that help you to liberate yourself from difficulties of the past or from attitudes that have been holding you back from moving forward. During this cycle, you learn to embrace inner change in order to feel more empowered. There may be more opportunities to find support, financial and/or emotional, but you should be wary of living on credit and borrowing too heavily from the future. The most favorable periods for these matters occur while Jupiter is in direct motion in your solar eighth house, from July 16th to December 8th in 2014, and then from April 9th to August 11th in 2015. Jupiter entering Leo on July 16th puts this planet of growth and expansion in your solar seventh house, Aquarius, lasting from July 2014 to August 2015. During this cycle, you may enjoy benefits through marriage, serious partnerships, common-law partnerships, business partnerships, negotiations, and/or contractual agreements. This is a year in which you are more likely to establish a significant partnership; or you could be enhancing an existing relationship. It’s one of the better transits under which to get married. You can negotiate more successfully than usual, and, if applicable, you are more likely to win in legal matters or other forms of official negotiations. Financial benefits could possibly come through partnerships. For those of you who are already partnered, you are likely to find more joy in close relationships due to a more easygoing and tolerant attitude towards others and partnering in general. It’s especially important to be fair with one another and to share your ideas and ideals. Legal matters or challenging relationship problems from the past might more easily be resolved now, and even more casual disputes are likely to be settled during this cycle. The need for freedom in your social relationships is strong, however, and if it is not forthcoming, you could feel caged in and restless. You may find yourself taking on the role of consultant or advisor, or you could benefit from help from same. Good publicity may come your way. If your work involves the public, you can safely expect increased popularity now, or you might receive good reviews, feedback, or word-of-mouth opportunities. Relationships and partnerships benefit from expansive, warm energy, or successful new ones are entered into this year. These positive circumstances won’t necessarily fall into your lap, and are unlikely to come all at once. You need to keep your eyes open for opportunities in these areas of life. Also, although Jupiter is generally considered a positive and happy energy, close relationships could end during this cycle, but if they do, it’s generally in order to move on to a happier, healthier, more tolerant relationship. A warm, open, and honest approach to others wins you positive new relationships, or enhances existing ones. You might fall victim to wasting opportunities, time, or resources with transiting Jupiter opposing your natal Sun. Generally, this transit is a “feel-good” transit, and you are likely to be feeling quite powerful and optimistic. The problem with the transit, for some, is that you might over-reach as a result of these inflated feelings of importance. Jupiter rules your sector of friends, groups, networking, hopes, income from business, progress, and technology. Any of these things can be tied with partnerships during this period. Some of you could partner with a friend or meet a partner through a friend or group; for some of you, a strong connection can be made online. Existing partnerships can strengthen through sharing common goals or causes, and from a feeling of true friendship and camaraderie. This might also suggest that you’re pinning your hopes and wishes on close relationships at this point in your life. 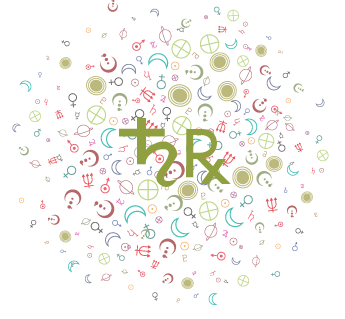 From September forward, your own ruler, Uranus, forms a very pleasing aspect with Jupiter, and this is an especially beneficial period for all of these matters: friendships, partnerships, income from business or work, and group activities. This is a time for putting yourself out there and shedding some of your fears of taking risks on a social level. The most favorable periods for these matters occur while Jupiter is in direct motion in your solar seventh house, from July 16th to December 8th in 2014, and then from April 9th to August 11th in 2015. Jupiter entering Leo on July 16th puts this planet of growth and expansion in your solar sixth house, Pisces. From July 2014 to August 2015, you are likely to see benefits in the areas of work and health, as well as daily routines. This transit enhances your ability to handle the details required to do a good job, and others become more aware of your skills. Benefits may come through work itself, co-workers, or employees during this cycle. Any type of service that you may provide is likely to go well now, mainly because you are finding more joy in being of service. You are more successful in hiring good workers, if applicable, and improvements to your working environment are likely. You find more enjoyment in the work you do, and it is easier than usual to find employment now. You may get a new job during this cycle. Work tends to be very available to you — perhaps even too available in that you don’t know which job to choose. The best way to handle this transit is to take pride in and recognize your usefulness – this is bound to give you a great deal of joy, and you are likely to be rewarded as a result. As well, the more integrity, directness, and honesty you bring to your services and work, the more “payback” you will receive. Health is likely to prosper now, and medical procedures or programs, if necessary, are more apt to be successful. There may be an inclination to put on some weight, however, if you don’t watch your appetite and/or choice of food. Some people get a new pet during this cycle, and this brings them much joy. These positive circumstances won’t necessarily fall into your lap, and are unlikely to come all at once. You need to keep your eyes open for opportunities in these areas of life. Sometimes Jupiter brings too much of something, and this could mean taking on more work than you can handle, getting lost in the details and organization necessary to keep your daily life running smoothly, and so forth. Watch that overconfidence doesn’t lead you to overload your plate. As well, you may need to draw some boundaries with others. While you can enjoy helping people at this time, you may be leaned upon too much and too often. 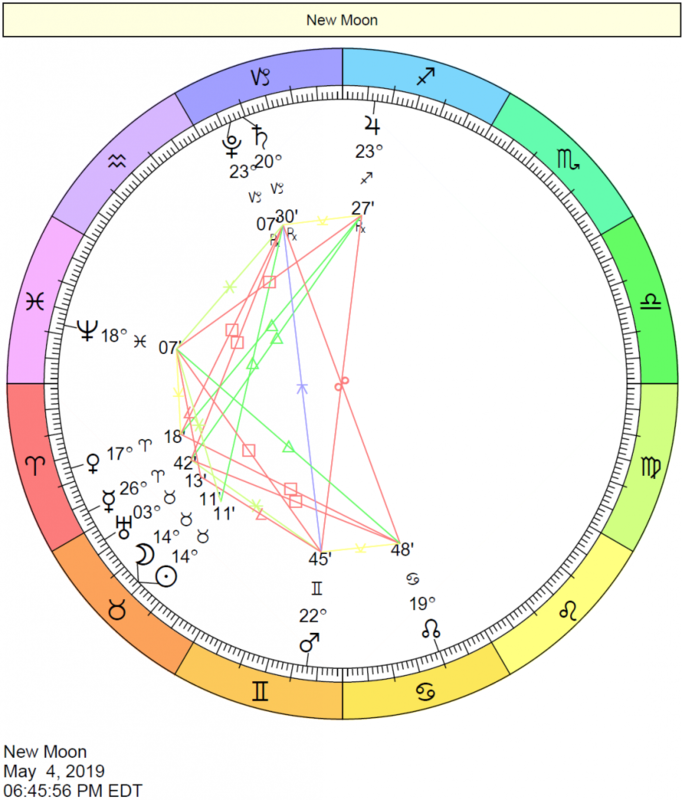 Because Jupiter rules your solar tenth house and it’s now transiting your solar sixth house, there can be a lot of focus on detail work and/or service in your career during this period. You may be assisting others during this cycle, and for some, health-related or healing professions can be attractive at this time. There can be a stronger sense of responsibility to your work or your co-workers. You may be in a management position. However, for some it may mean that you are doing a lot of work without the glory or credit. You are bringing fresh and original ideas to the work you do and the services you offer, and this is especially so from September forward, when you are especially innovative. There can be breakthroughs and pleasant surprises. The most favorable periods for these matters occur while Jupiter is in direct motion in your solar sixth house, from July 16th to December 8th in 2014, and then from April 9th to August 11th in 2015.